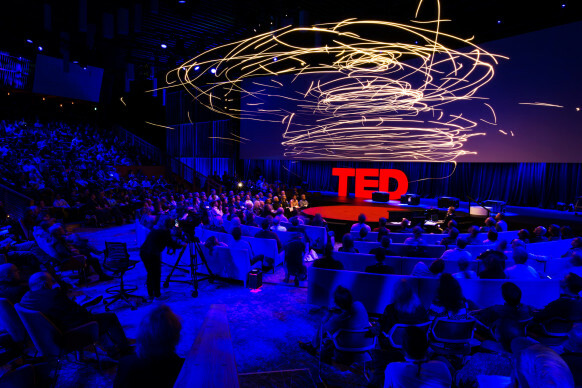 The TED stage has, for better or worse, become a throne on which our society anoints its intellectual royalty. But Raffaello D’Andrea deserves your attention. At last month’s TED conference, he inspired genuine wonder with an 11-minute presentation on “the dazzling flying machines of the future”—that is, drones. His “performers” ranged from an airborne marvel with one moving part, to an eight-propeller juggernaut that could move in any direction it pleased. D’Andrea, a professor at the Swiss Federal Institute of Technology (ETH Zurich) and the founder of the automation startup Verity Studios, has been experimenting with robots since the ’90s. After studying Engineering Science at the University of Toronto and Systems and Control at Caltech, he became a professor at Cornell, where he not only cofounded the university’s systems engineering program, but established himself as a dominating presence at RoboCup, the international robot soccer competition. D’Andrea led the university’s team to an unprecedented four world championships. He later launched Kiva Systems, a robotics company that was bought by Amazon for $775 million in 2012. Now called Amazon Robotics, the company helps automate much of the company’s distribution system. Today, D’Andrea remains obsessed with objects in motion—though the devices he’s known for are decidedly innocuous. Since its formation in 2008, his research lab at ETH has produced, among other things, a robotic chair that falls apart and puts itself together again; and Cubli—a small, metallic cube (pictured above) that can tip itself onto a corner and stay there. By 2009, however, D’Andrea’s attention has shifted skyward.“The technology had finally caught up to what I dreamed it could do,” he says. It was finally time to experiment with drones. In 2009, the ETH lab demonstrated its “Distributed Flight Array,” in which groups of hexagonal drones moved as one, seeming to communicate like birds in a flock. The group’s “Flight Assembled Architecture” exhibit, at the FRAC Center in Orléans, France, starred a swarm of flying machines that assembled, brick-by-brick, a 20-foot-tall tower from 1,500 prefabricated polystyrene foam modules. In the “Flying Machine Arena,” D’Andrea and his students debuted drones capable of high-speed flips, balancing objects, building more structures (like a rope bridge), and even playing paddle-ball. D’Andrea’s TED presentation, which you can watch in its entirety above, was a taste not only of his work’s increasing sophistication and breadth, but of the varied and potential-rich future of drones. None of the prototypes D’Andrea presented on stage was manually controlled. Rather, each was pre-programmed (ETH and Verity built the hardware and software), and equipped with on-board sensors to determine its location in space. The first drone, the Tail-Sitter, combines the efficiency of a fixed-wing aircraft and the maneuverability of a helicopter. Through a series of algorithms, D’Andrea’s team taught it to recover from “disturbances”—an ability he demonstrated on stage by hurling the machine through the air. After each toss, the Tail-sitter would right itself and resume flying as though nothing had happened. The second drone, a device D’Andrea calls the Monospinner, uses brains over brawn to account for a major handicap: It possesses just one propeller, and no other moving parts. D’Andrea’s third creation, the Omnicopter, is the foil to the Monospinner; its eight propellers allow it to travel in any direction without changing where it’s orientation, accounting for all possible axes and movements. A fourth invention, the Fully Redundant Multicopter, comprises two double-propeller flying machines joined at the middle to increase performance. A surprise advantage: if one half fails, the drone can stay aloft. 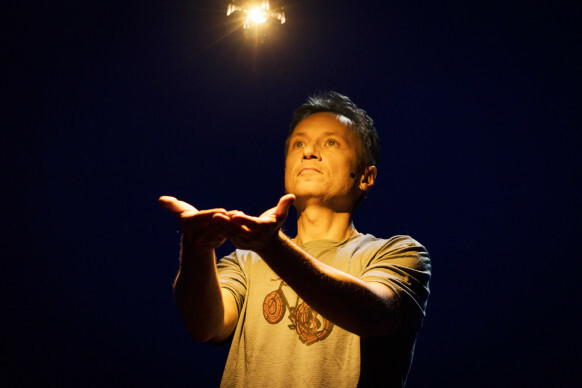 For his finale, D’Andrea presented not one drone, but a “Synthetic Swarm” of 33 tiny, coordinated micro-quadcopters fitted with LEDs, sophisticated programming, and sensors. As they glided soundlessly around the room, they resembled a troupe of twirling fireflies, artfully syncing their movement and lighting through astounding choreography. D’Andrea’s flying machines demo at TED. D’Andrea says his final demonstration was a harbinger of where Verity, which now has 17 employees, is heading: Entertainment, which he sees not only as a lucrative drone business, but a way to ingratiate robotic flight to a skeptical public.